When I discovered the wonderful world of Blogging back in 2006 and I was shocked. I couldn't believe there was so many people out there with whom I could relate and who had the same tastes and interests that I did (and still do!). I decided to start writing my own in April 9th, 2007. It's been a while since that first post and I've been gone through a lot of stuff since that day. My blog is personal. It's the place when I share with the world what I do, what I like and what I've been through. 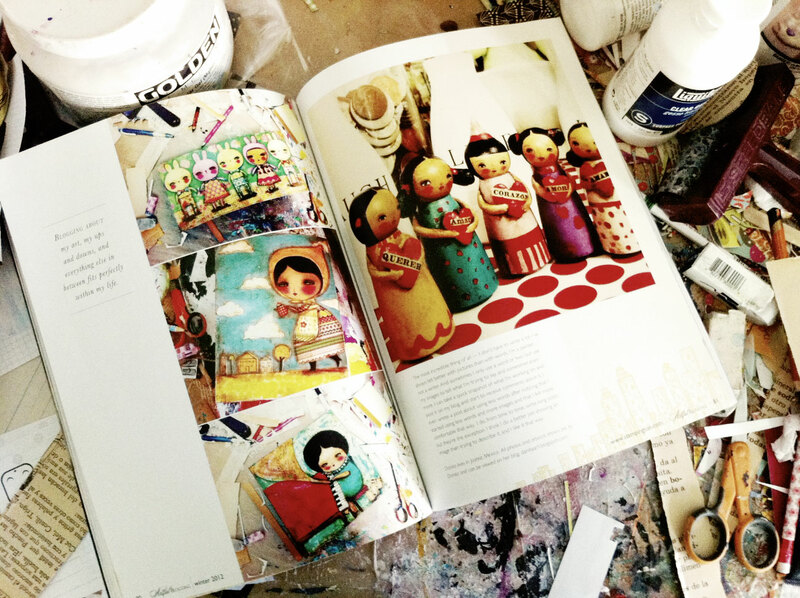 I like to show the world the work that I make and the things that I enjoy. 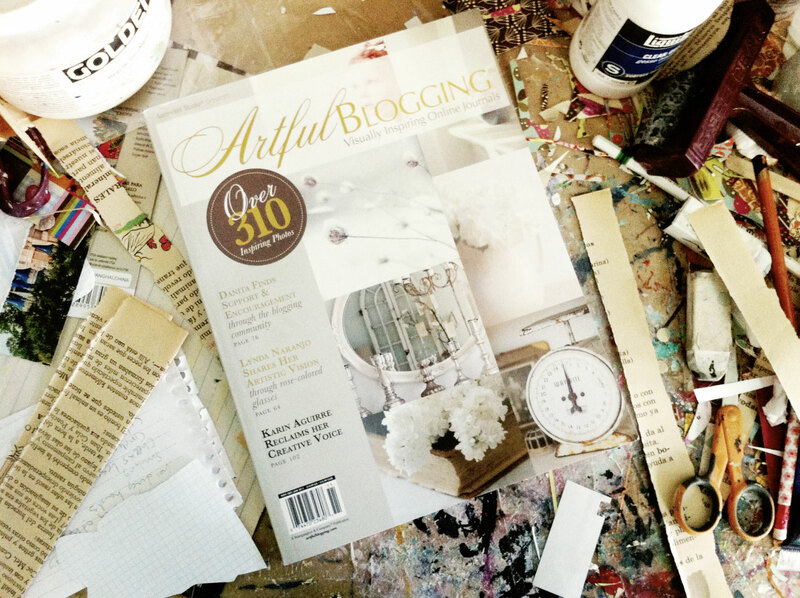 And today I received my copy of this Winter's Artful Blogging issue, and I'm there! Now even more people will know about my blog and hopefully will join me in this adventure. Thank you Somerset, and thank YOU for being my reader and my companion in this journey. Buy one print, get one FREE! This week, mention that you saw the offer in my blog in the comments to the seller at checkout and let me know your choice of free print. 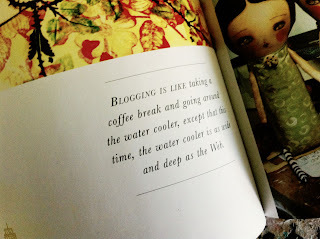 Yeah is'nt blogging brilliant -how many blogs do you follow and visit Danita? 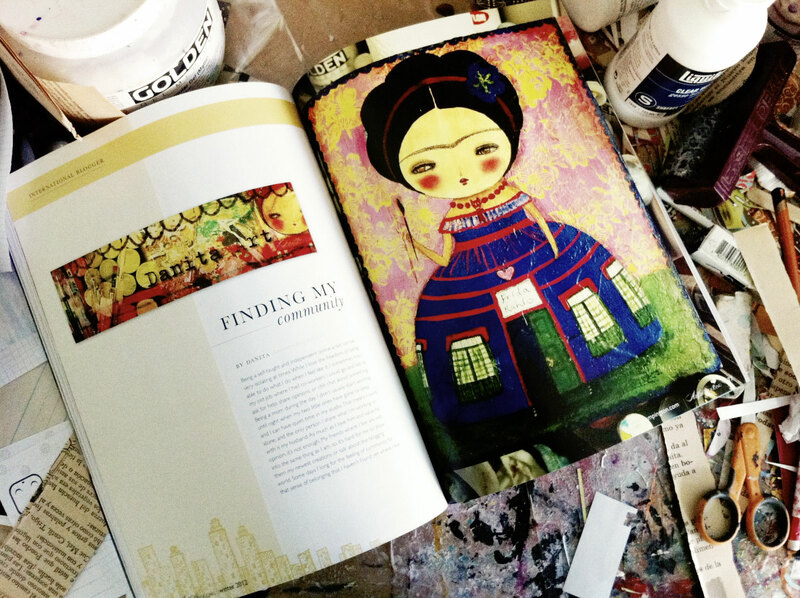 your blog, your art, your spirit, your heart, is what I love about your blog. Congrats on being published again, you deserve it. Your blog is wonderful. You´re a fantastic artist!! Congratulations!! Your blog is always a happy place for me to visit - well done on getting published. I totally agree I can't believe how many wonderful people are out there - it kinda renews your hope in the human race. Long life the blog I say! Congratulations! You are a brilliant artist and blogger - I am always blown away by your energy while juggling motherhood and all of it's joys and challenges! Keep up the great work! I love your blog danita! congratulations! Thanks so much for being such a pleasure to work with. I'm glad your magazine arrived in a timely manner too. I don't read fiction books (I know you do) BUT reading your blog is like a fiction to me : ) You know in a fiction,you read about a character's adventures, you can relate to the character or characters in it, wonder what happens next. Well, I have been following your adventure that you started in 2007. Danita Land! 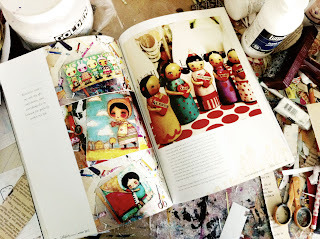 Hehe : ) When I get a few minutes from the kids, I say let's look at Danita's blog to see what happened.